What is Harbor Centers Inc.? 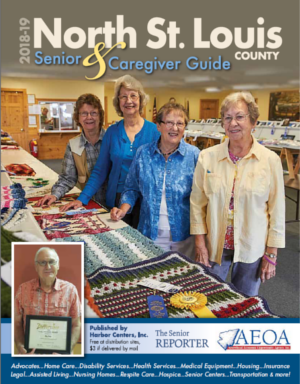 The Senior Reporter is the most established information source for persons 50 years and older in Northeastern Minnesota and Northwestern Wisconsin. 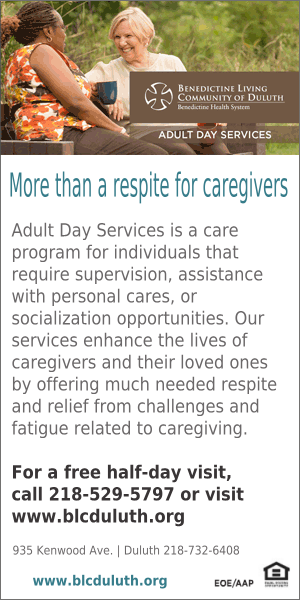 It has been serving seniors for over 30 years. 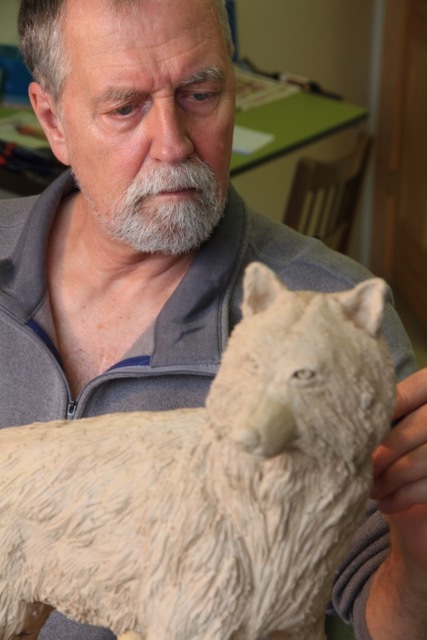 Lanny Johnson learned clay-to-bronze sculpture art skills after he retired. He learned to be a sculptor from a mentor on the Internet who lives in Montana. Lanny has a studio at Old School Lives, a renovated public school in Cotton, Minnesota. 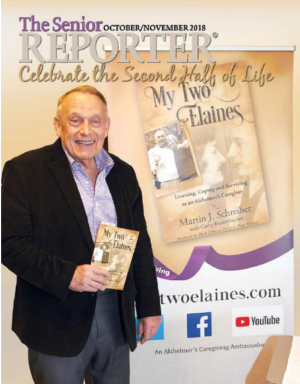 His story was published in the December 2016 issue of The Senior Reporter. 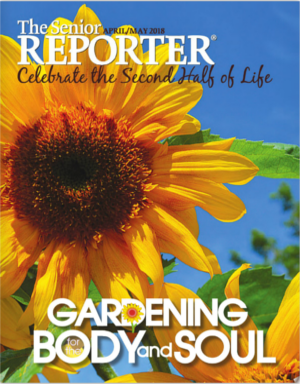 The Senior Reporter's focus is primarily on encouraging persons over the age of 50 to stay as active and healthy as possible - for as long as possible. Local writers from across the area provide original, interesting and insightful stories for each issue. It is published six times each year, in the months of February, April, June, August, October, and December. 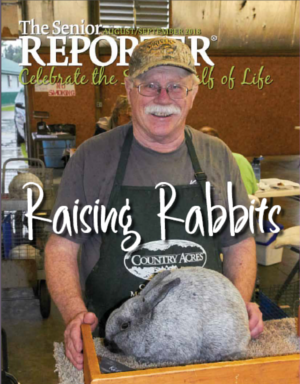 In each issue, editor Burton Laine searches for persons in the area that have started doing something new or are continuing with something interesting later in life. Examples include training dogs for agility trials, drag racing at Brainerd International Speedway, learning and mastering new art forms like rock carving or bronze sculptures, starting a new career as a flight attendant, or shooting targets on horseback. Check out each issue to see photo essays and learn about the creativity and energy of your neighbors. 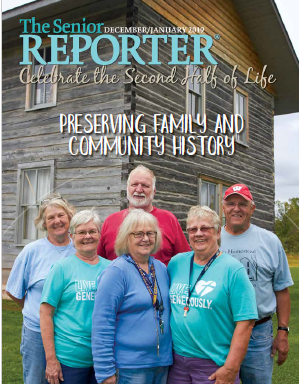 In addition, Rachael Martin, the director of the Carlton County Historical Society and a lifelong area historian writes about little known historical figures who made a difference in our area. 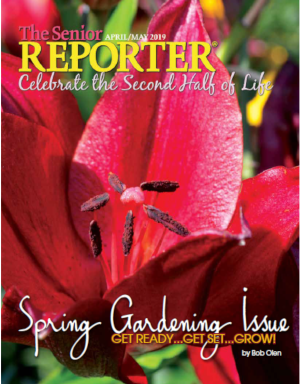 Horticulturist Bob Olen provides photography and gardening tips unique to our area. John Latimer provides a lifetime of insight as a citizen phenologist into the natural world around us. Mary Alice Carlson inspires us and makes us laugh and cry at the little things in life and on her farm. And St. Luke's dietitians share their expertise on interesting recipes for one or two persons along with nutritional insight. We even make the recipes in a size that can be cut out and put in your kitchen three inch by five inch recipe box. Then we also add in a few other features like Medicare questions and answers, and puzzles. 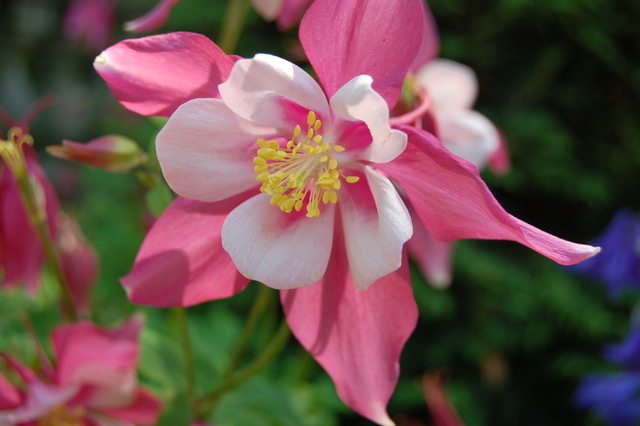 Bob Olen recommends local native varieties that grow well in local gardens like this columbine. 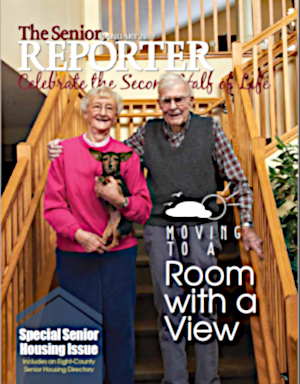 We print 10,000 copies of each issue of The Senior Reporter. 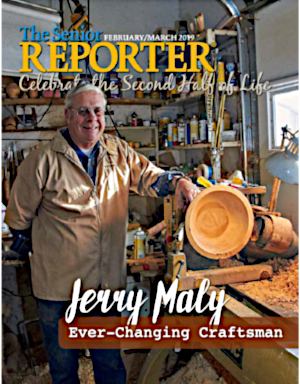 You can pick up free copies at most Super One stores in Superior, Wisconsin or Minnesota locations, as well as several other grocery stores. 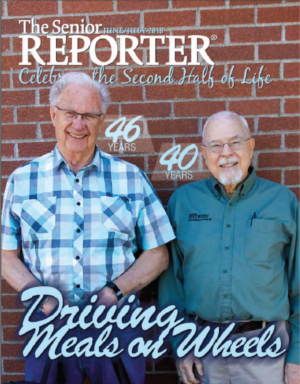 Because the publisher, Harbor Centers Inc. is a nonprofit and partners with other senior-serving nonprofits in the region, copies of the magazine are provided free to everyone who is served meals at senior dining locations and who receives Meals on Wheels. It's available free at many senior centers and independent senior housing facilities in the area. And you can subscribe to the magazine if you would like to have it delivered to your mailbox. 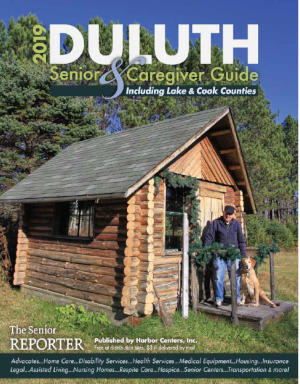 If you know of a senior center, grocery store or other location that would like to have copies of The Senior Reporter available free for participants or customers, contact us at hceditor@icloud.com or call 218.624.4949. 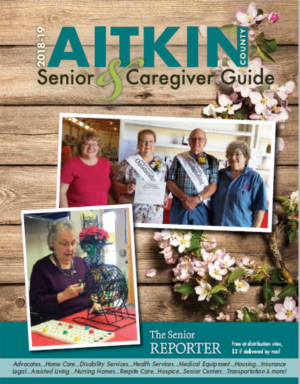 Senior information-and-referral guides are available free through many senior-serving organizations in the area. 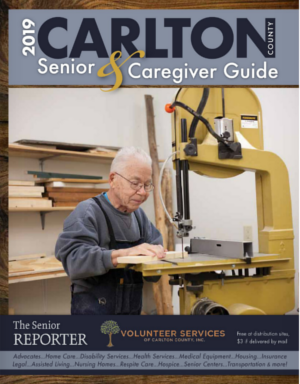 Each guide is researched and updated annually by partner nonprofits in each county. They provide the information to us and we design and publish the guide. 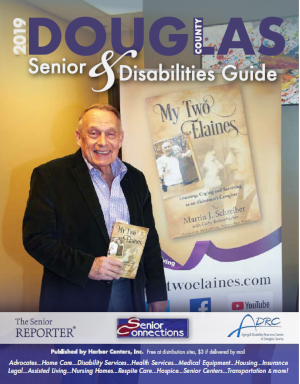 Then 4,000 to 6,000 copies of each guide are made available through our partner nonprofits in each county so they are available locally to seniors, their families and caregivers. We also are including the senior guides as a part of this website if you wish to view them electronically. Click on the name of the publication to see an electronic version. 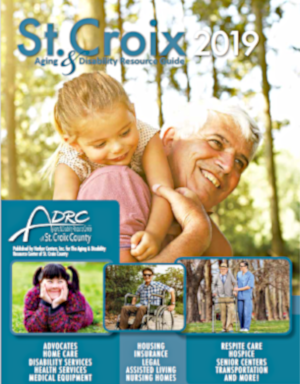 Contact your local senior-serving nonprofit or county ADRC below or The Senior Reporter if you wish to receive a paper copy of the guides. 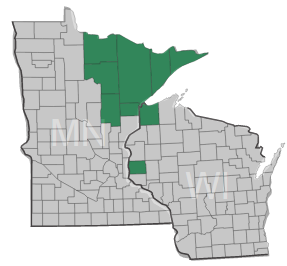 Serving Northeastern MN and Northwestern WI. Harbor Centers Inc. is a small 501(c)3 nonprofit located in Duluth, Minnesota that serves Northeastern Minnesota and Northwestern Wisconsin. 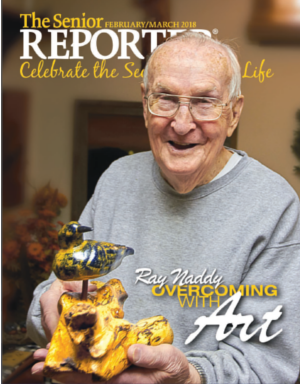 Through The Senior Reporter magazine Harbor Centers' mission is to encourage persons 50 and older to be as active and healthy as possible - for as long as possible. 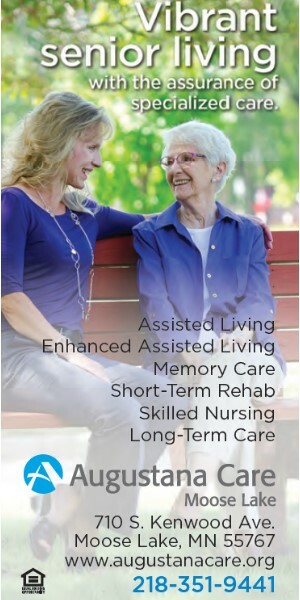 Through the senior information-and-referral guides Harbor Centers' mission is to help seniors, their family members and caregivers to connect to needed senior resources and housing when they need them. This information is sometimes difficult to find, and each guide has local information available at a time of need. 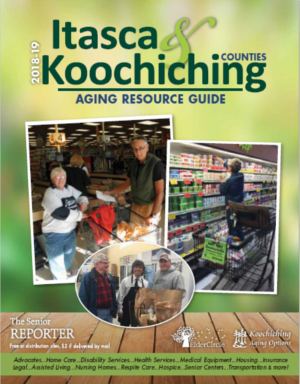 All of these guides are developed and distributed with partner senior-serving nonprofits in each of the counties in the area. 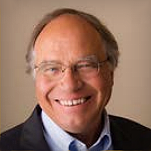 Burton Laine is the Executive Director of Harbor Centers Inc. as well as the editor of the publications. All of these publications are available free. If they need to be mailed there is a $3.00 mailing fee.